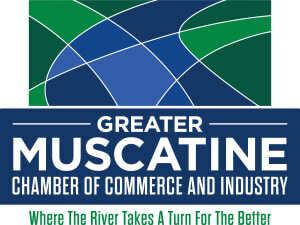 The Greater Muscatine Chamber of Commerce & Industry is a catalyst for advancing our region's economy, improving our quality of life and enhancing our members' success. sustainable economy through measurable and actionable strategies. the quality of life for all residents of our region. and programs that members consider to be essential elements of their success. sustainability of its members and the community.